The invitation is the formal announcement of your wedding. It does not only contain the details of your big day but sets the tone and style of your wedding. Here’s a simple rule to remember: formal weddings require formal invitations. If artsy and relaxed is more your style, then you can do away with the engraved invites and make up your own invitations with recycled paper and some pressed flowers. To make sure that your invitation and wedding style do jive, here are some tips. Rowena Mendoza, sales supervisor of QP Designs, says the trends for the year 2002 are here to stay. Couples-to-be still favor simple and elegant invitations, usually consisting of separate leaves containing the invitation proper and the list of entourage. Yep, beribboned pieces of parchment containing various sayings are out. 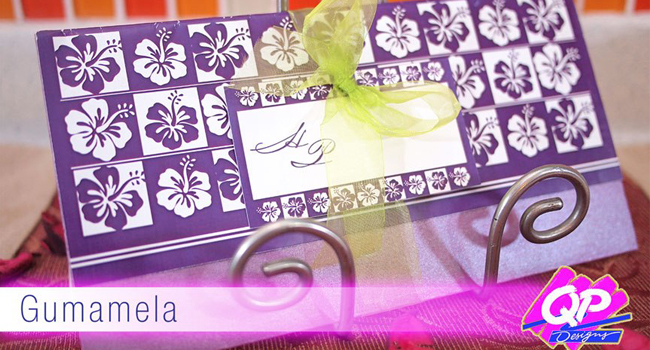 Mendoza advises couples to order their invitations around 2 to 3 months before the wedding. The golden rule when it comes to wedding invitations: always order extra – extra invitations for last-minute guests and extra envelopes for those addressing errors. For every 100 guests, Mendoza says to allocate 20 extra invitations and envelopes. Of course, make sure to save an extra copy to serve as a memento for this momentous occasion in your life. 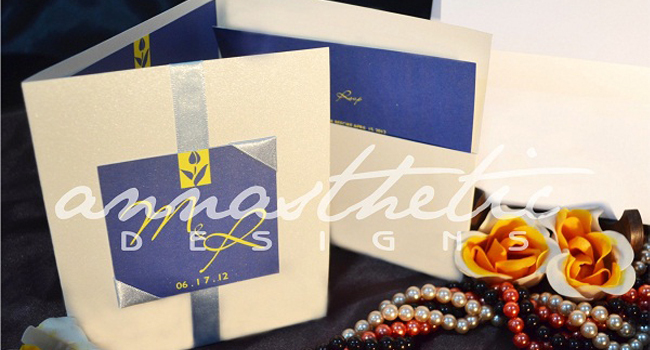 Invitation etiquette states that one should not label envelopes. For that personal touch, take the time to address the envelope by yourself, hire a calligrapher, or use a really good laser printer and a nice flowing script font. Speaking of fonts, make sure to stick with a maximum of two types for the invitation, for the headings or labels and the names of the entourage. If possible, have your printer give you a final copy of the invitation before printing. Double-check the titles, names, and important details like the church, time of the ceremony and the reception venue. Then, send out your invites 3-4 weeks before the wedding, especially if you have a lot of out-of-town guests or if you are getting married outside your hometown or city. 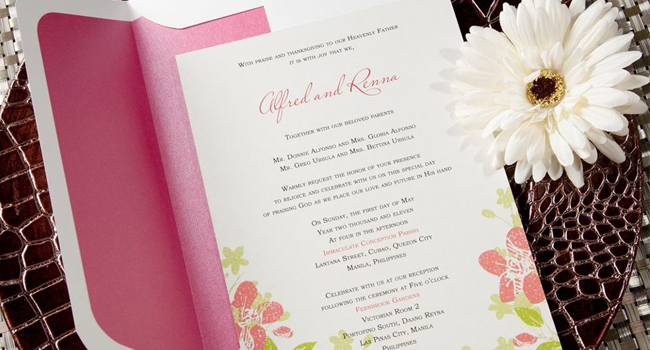 With these ideas in mind, start off your wedding right with the perfect invitation.